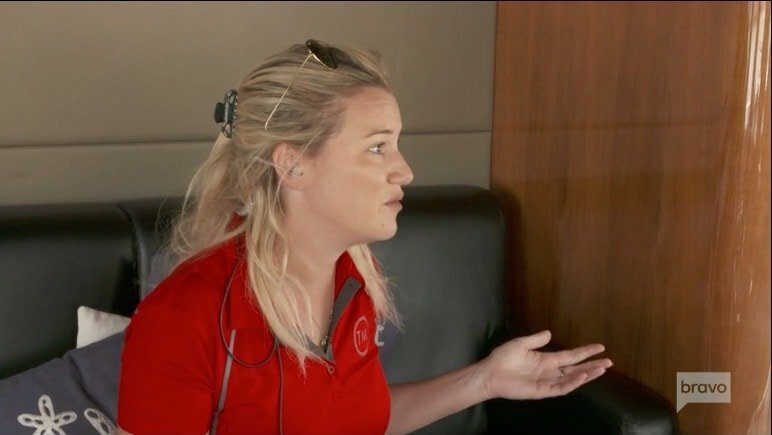 The tension between Captain Sandy Yawn and Chief Stew Hannah Ferrier has been building for the past two seasons of Below Deck Mediterranean. Aside from the preexisting tension, Hannah’s romance with the boat’s Bosun Conrad Empson seems to be a distraction from both of their jobs. And that is something does not sit well with Captain Sandy, of course. But does Captain Sandy have a valid point or is she biased because of her blatant dislike for Hannah? Could it be a combination of both? Then again, Joao Franco romanced Kasey Cohen and Brooke Laughton this season and none of them have suffered Captain Sandy’s wrath as a result. Below Deck Mediterranean is back tonight with an all new episode at 9PM. Based on the episode description from the Bravo website, it’s going to be (another) tough one for Hannah. What can we expect tonight? “With both Hannah and Jamie [Jason] down, Captain Sandy steps in to support her crew.” And there’s no doubt this just adds to that tension between Captain Sandy and Hannah. There’s even more trouble for Hannah in this episode description: “As Brooke and Kasey step up to fill the void for being down a stew, they notice that it’s smoother sailing.” The two of them are getting more done than they normally do with Hannah in charge of the interior? Yikes. Captain Sandy is not going to be happy about that realization. Just to hammer the point home that this is a problematic episode for Hannah, the description ends with “And Hannah crosses a line with Sandy that could end her charter season a lot sooner than she thought.” Is this really the end of Hannah’s time on this show? She is the only original cast member that is still on the show….at this point. TELL US- DOES HANNAH SEEM LIKE A GOOD CHIEF STEW? IS CAPTAIN SANDY TOO HARD ON HANNAH OR IS THE CRITICISM JUSTIFIED? ARE HANNAH AND CONRAD A GOOD MATCH?